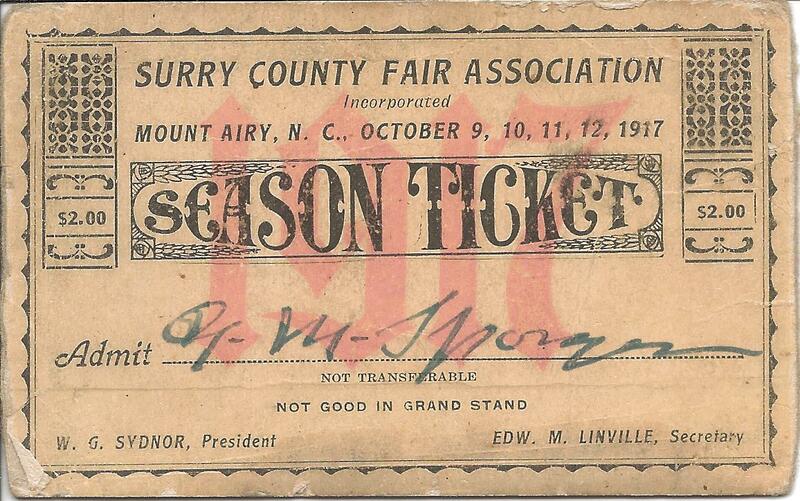 The Virginia-Carolina Fairgrounds, also called the Mount Airy Fairgrounds, held an annual county fair since the early 1900s. Displays of farm equipment, produce, fruit, baked and canned goods, handicrafts, art work, farm animals, cattle, horse shows and races, games and entertainment, educational exhibits and contests were all a part of this popular event. At the 1919 fair, a military exhibit was presented featuring machine and field guns, army shoes, and war implements used by the Germans along with a huge display of posters explaining the advantages of being in the Army. Local soldiers were on hand to give demonstrations of the Browning machine gun along with providing a fireworks show featuring trench rockets, mortars and star shells. 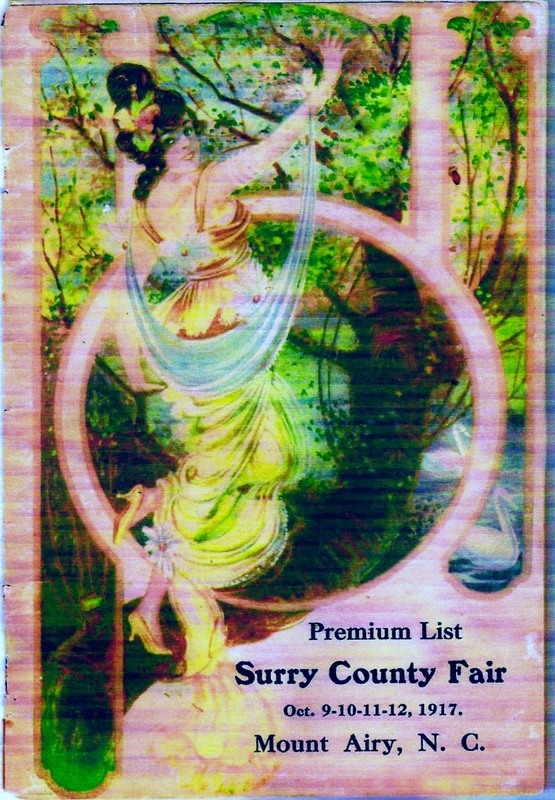 Horse shows became a widely popular, separate event in 1941 and were first sponsored by the Junior Chamber of Commerce. 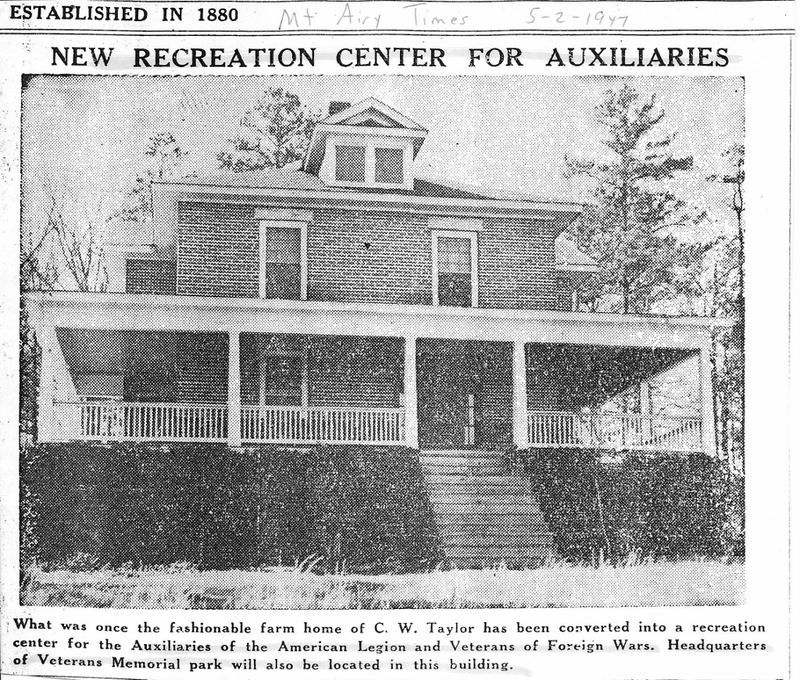 In 1946, the American Legion and the Veterans of Foreign Wars joined together to purchase the 36 acre Taylor farm and began to create what is now called Veterans Memorial Park. 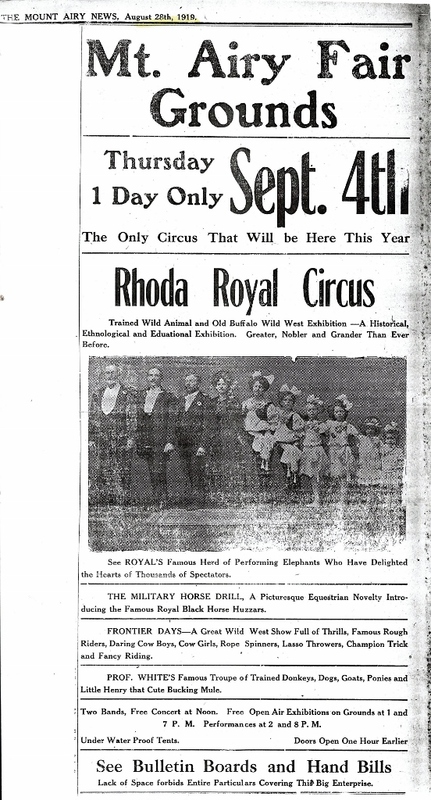 On July 4, 1947, a grand opening featured a parade with 20 floats, nationally known speakers, war veterans, county and city officials and a large livestock show. 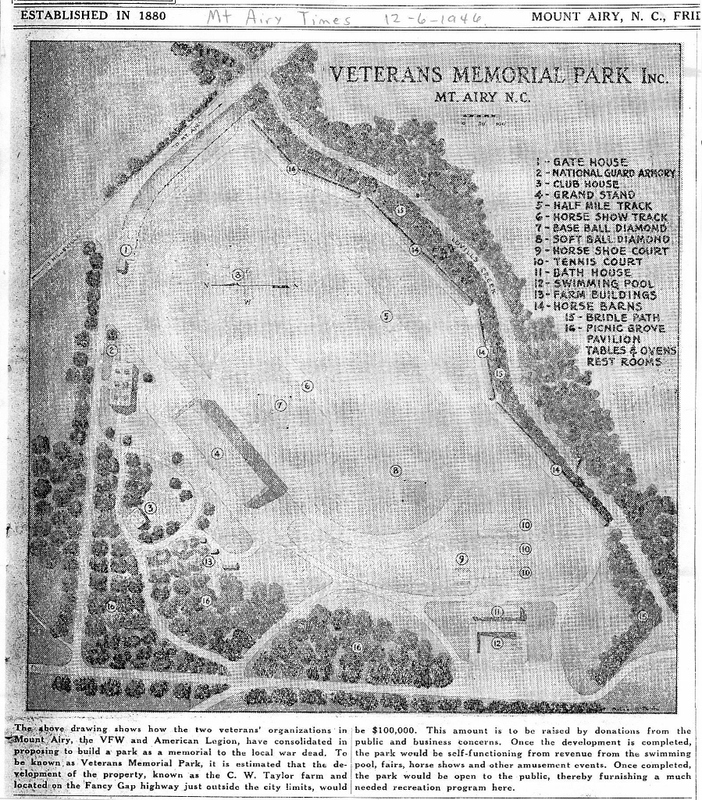 A circus, rodeos, fairs, and festivals such as the Mount Airy Fiddlers Convention have been held at Veterans Park over the past 65+ years.